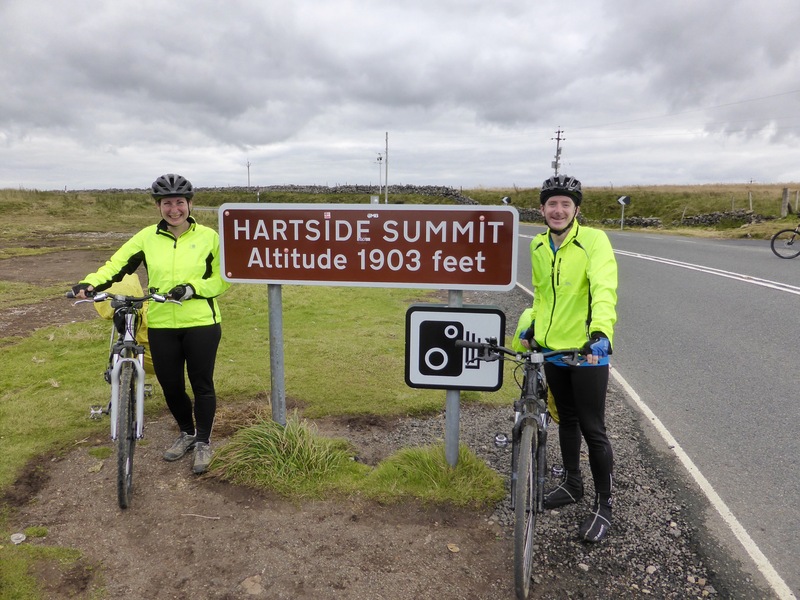 If the word of Day 2 was headwind, then the word of today was hillclimb – anyone we’ve spoken to that has either done the C2C or knows the route mentions the 4mile climb up Hartside. The start from Penrith was a series of small but challenging uphills of varying gradients which nicely warmed the legs, but our heads were full of thoughts of the Hartside climb to come, and a little under 2 hours in we’d started.. 40 odd minutes later we were sitting at the infamous Hartside Cafe wondering what all the fuss was about! I’m not saying Hartside wasn’t tough, but we agreed that Whinlatter Pass the previous day was tougher. After a hot chocolate and slice of cake at the cafe, we set off towards Rookhope. The smooth declining road on the other side of the climb restored our average speed and with spectacular scenery was infinitely more enjoyable than the way up. But what goes down must come up. Obviously we’d looked at the profile of the day’s ride, but all eyes were on Hartside with just a cursory mention of the subsequent peaks.. and with our guards lowered the route delivered punishing steep hill after punishing steep hill. We’re talking easiest gear and out of the saddle steep. Like a grownup version of the roller coaster start out of Brampton on day 2, we climbed and then dropped through spectacular scenery. Stopping to take a picture after a crest and after we’d just crossed into Northumberland, I heard a babbling brook on one side and a curious popping noise coming from my back wheel. I looked down to find the seal of my rear tyre valve blowing bubbles! 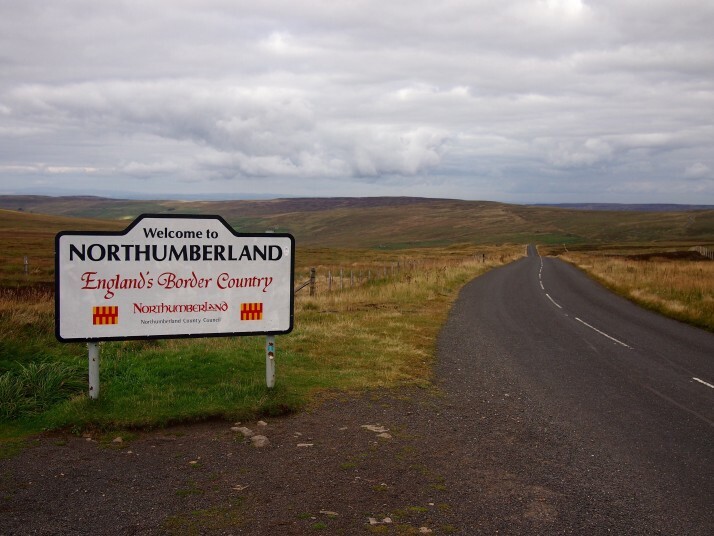 Over 200 miles and we have our first puncture..
Thankfully we ended the day on a nice 5mile downhill stretch past abandoned mines and mills into Rookhope, where we’ll be staying for the night in a cartoon-decorated caravan! 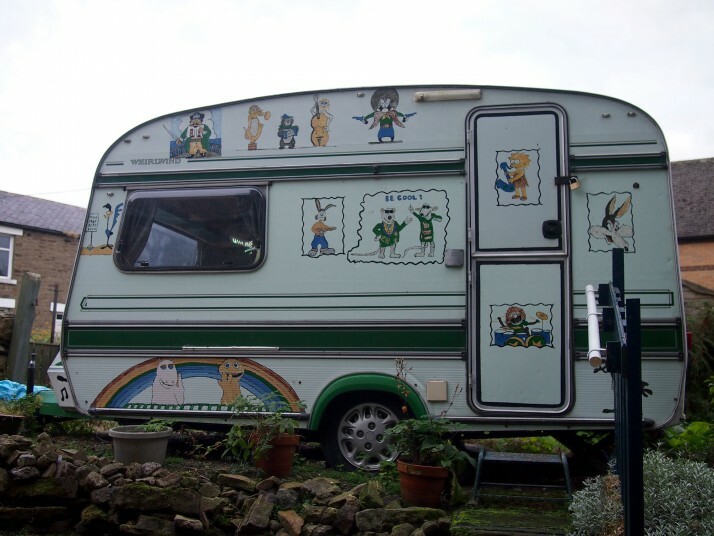 Our cartoon caravan home in Rookhope! 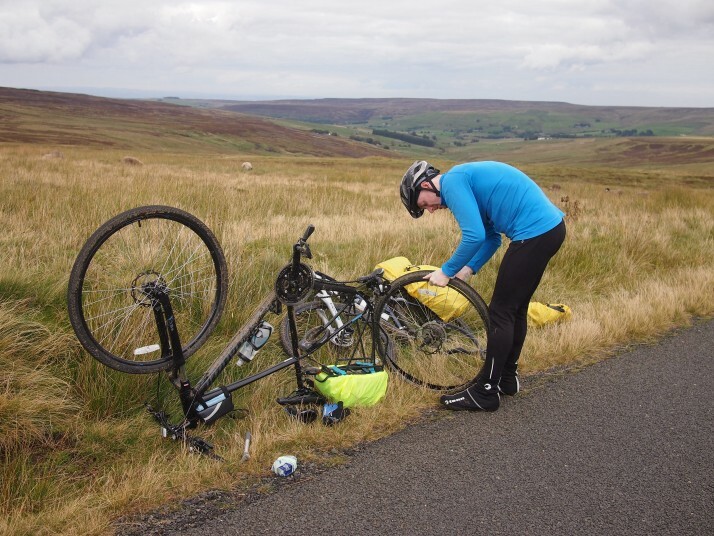 This entry was posted in Experiences and tagged Bicycle, C2C, G2C2C, UK on September 26, 2015 by Andrew.